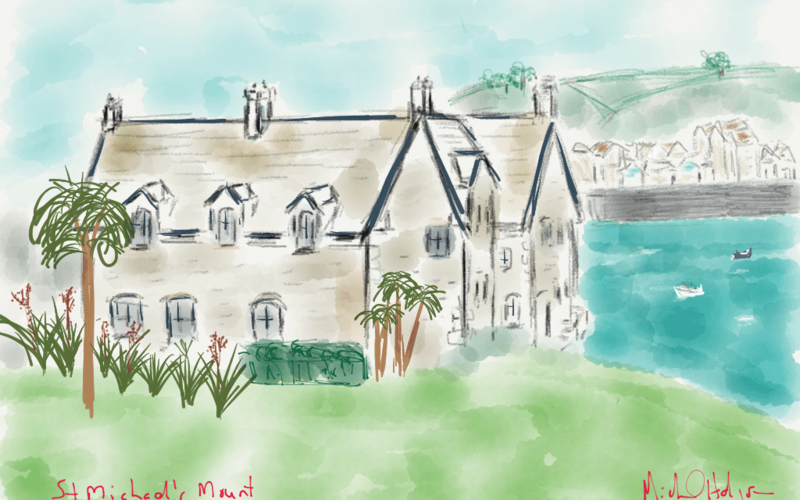 View from the garden lawn of St Michael’s Mount across to Marazion, Cornwall painted on my iPad using the program Paper 53. 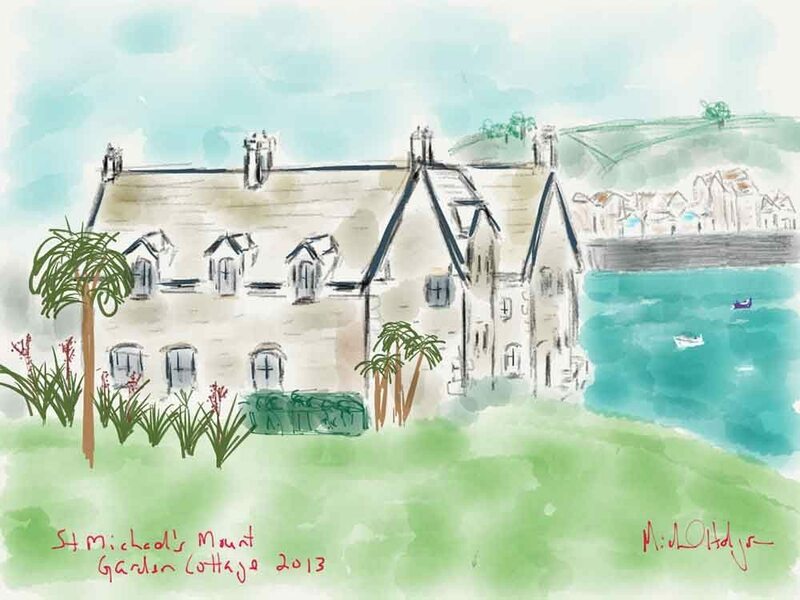 To view more of Michael’s artwork, go to his art website by clicking here. 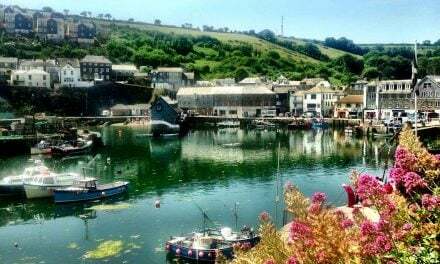 It is easy to lose yourself for a few days when visiting Penzance and surrounding areas along the eastern coastline of Cornwall, England. 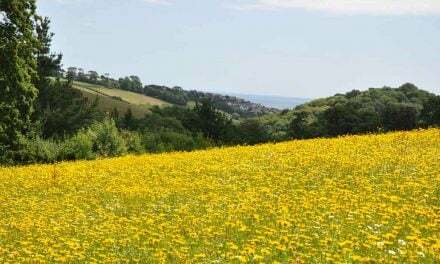 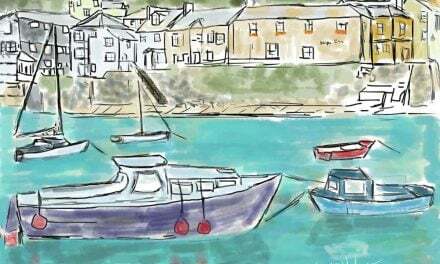 A few of our favorite places to visit in Cornwall include Mevagissey and Pentewan (including the Lost Gardens of Heligan), down to Penzance, St Michaels Mount (where the above image was painted), and Mousehole. 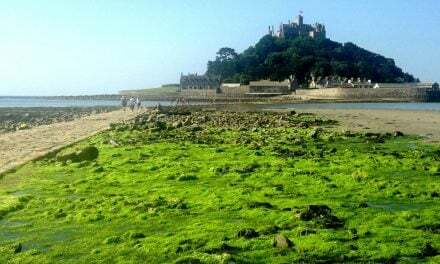 If you have limited time, two must-see places when visiting Penzance are the aforementioned St. Michael’s Mount (www.stmichaelsmount.co.uk), a three-mile walk along the coastal path to the east to a stunning medieval castle with sub-tropical gardens, and Mousehole –pronounced “Mow’-zel” –, a 2.5-mile walk to the west along the same coastal path to a picturesque fishing village that has been dubbed “the loveliest village in England.” We agree, but you can decide for yourself.